Right now in april, 2014 this great tv show has enetered its ninth season of production and is fresh as ever. Supernatural is in many things safest bet on tv. Two main people are Winchester brothers, Sam and Dean, but you will meet all kind of characters here, demons, angels, king of hell, king of heaven and also leviathans and all kind of spectres, reapers, four horseman, ghosts, werewolfs, ancient gods, ancient ghosts, witches, wicans and even some fairies. Also you will visit purgatory, hell, heaven and also wild west and do some other time traveling. You will also meet Bobby Singer and Garth too, also Gods prophet Kevin and angel Castiel but also Crossroads Demon Crowley, former crossroads deamon, current king off hell. How ever you look at this series one thing is always there, divesity and continuity. Unlike some shows main actors here are not in hurry or nervous about what they will do next. They know what they will do tomorow and it shows. Jensen Ackles as Dean and Jared Padalecki as Sam are great and function well but together with also host of other great actors in their roles make this show such a gem that i will be truly sad when whole thing ends. All stories draw inspiration from real lore, myth or folklore stories and supernatural beings but also early catholicizm and pagan religions of old. It truly deserves recommendation if nothing then for sheer volume of magnificent baddies and goodies. Also one thing that will mark you when you see this show is some truly remarkable ideas on camera and sound. This tv series is must see if you have not already and again i really am sorry it took me so long to mention this puzzle that gets better and better with age. Join supernatural and meet brothers that truly did go to hell and back, both. Also supernatural hunters currently working as Men Of Letters, rock and roll. Enjoy. ps. How ever can or could i forget man who made it all possible, man called Lord Kripke amongst Supernatural fans. Eric Kripke is writter, television producer and director and he is mostly responsible for huge number of instances where lore in series follows real lore and in my humble opinion someone should give him standing ovation, somewhere. Happily married and since 2007 has a son that shares birthday date with Sam Winchester. He also made revolution which is next on my list so will mention this great guy some more then. Did i mention Bobby Singer? anonymous: "recommend supernatural television series"
anonymous: "great tv show, even better music on season finals and opening episodes. excellent"
anonymous: "Do revolution next please." tnanksKripke: "supernatural is my favorite tv time"
anonymous: "heaven is torn in internal power struggle, again." anonymous: "it really started again, missed that bunch, great tv series"
anonymous: "Season 10 Supernatural is on, started of with great Very Special Supernatural Special as episode zero of this season. " anonymous: "Supernatural season 10. 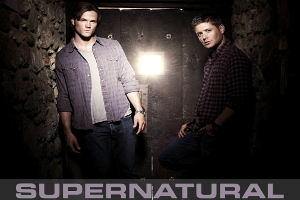 Supernatural Episodes total number 196 season 10 episode 1 name Black created by Robert Singer and Jeremy Carver aired on October 7, 2014. Episode with serial number of 197 in series which comes 2 in season 10 named Reichenbach created by Thomas J. Wright and Andrew Dabb aired on October 14, 2014. Ep 198 third in season 10 named Soul Survivor created by Jensen Ackles, Brad Buckner and Eugenie Ross Leming will be aired on October 21, 2014. Episode number 199 in supernatural series and number four in series will be called Paper Moon will be created by Jeannot Szwarc and Adam Glass will air on October 28, 2014. And truly respectable episode 200 in series will com as number five in series name will be Fan Fiction created by Robbie Thompson still avaits airdate." similar series: "boy does this supernatural never gets boring..."
Kennith Krischock: "Check out our work and reviews here: http://bit.ly/seowriters"
Theresa Smyth: "Love Football Betting?" Bud Bliss: "If you like to opt-out of future communications from us, please submit your request here:"